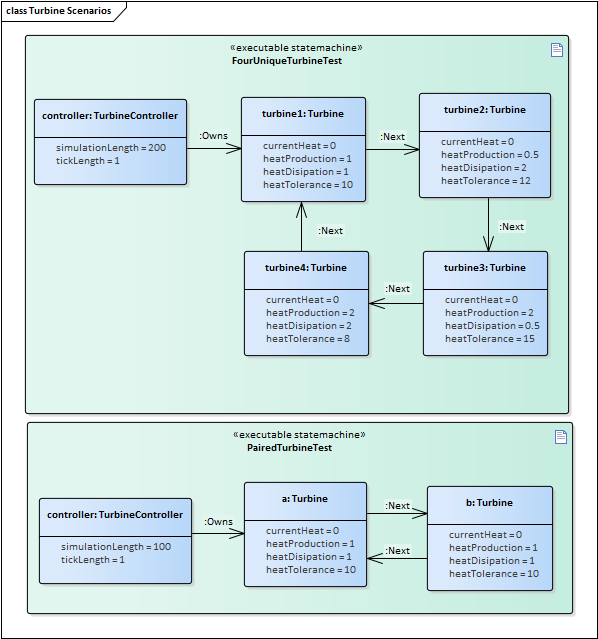 This image shows a sample Class model that is used by the StateMachines described in this topic. 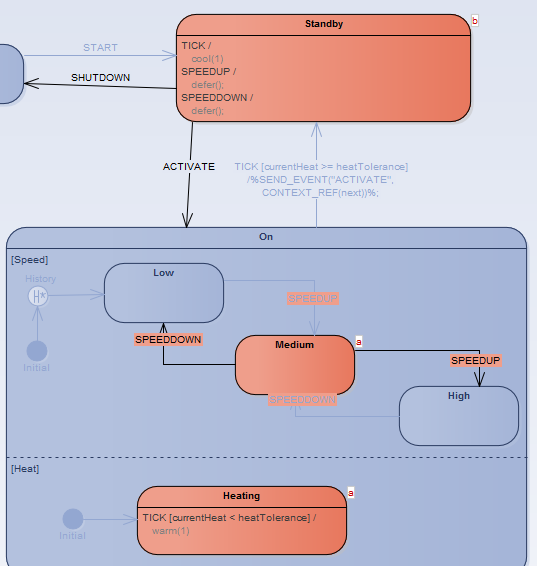 These two diagrams show the definitions of two StateMachines. The first references another StateMachine of the same type, while the second drives any instances of the first that exist. And the top level controller. 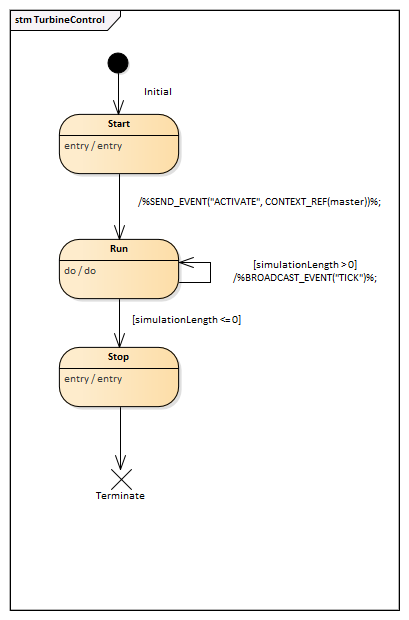 From the example Class and StateMachine diagrams, we can create Executable StateMachines as shown here. Note how property values have been set for each property, and the links between elements identify the relationships that exist in the Class model. 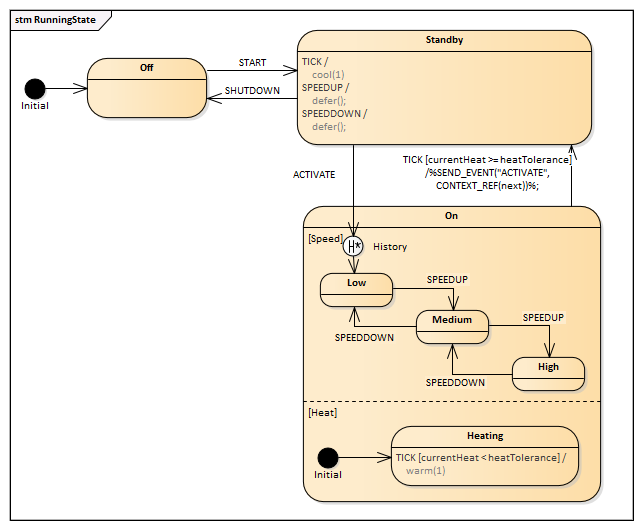 When running a simulation, Enterprise Architect will highlight the currently active States in any StateMachines. Where multiple instances of a StateMachine exist, it will also show the names of each instance in that State.